Home » Historical » Edwardian » What Do You See in This Waterfall? 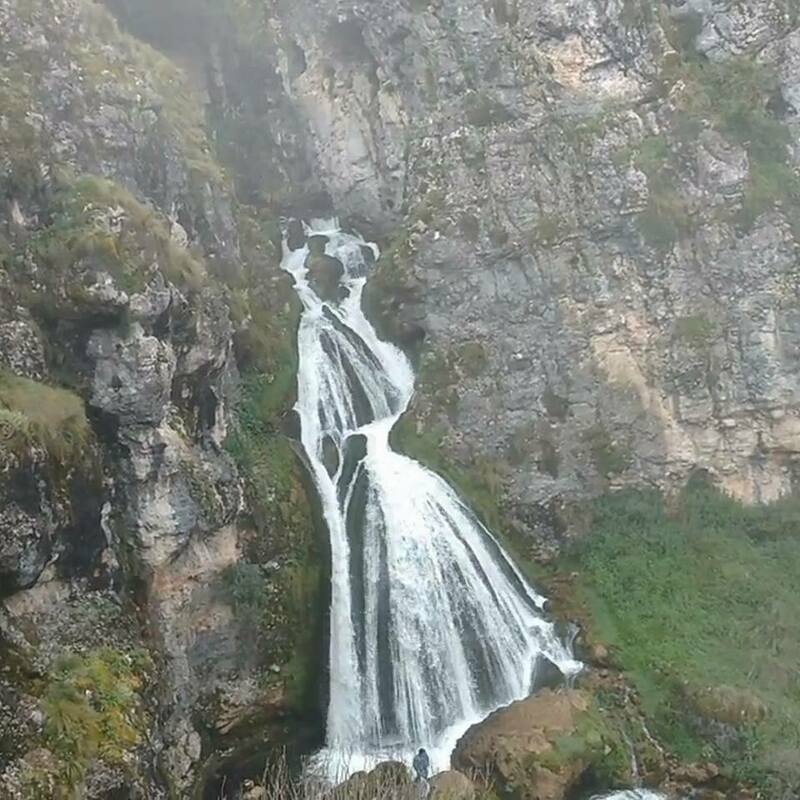 This cascade of water formed a unique visual illusion thanks to a combination of rock formation, water volume and perspective that revealed an Edwardian lady! She wears her hair up Gibson girl style and wears a tight corset and voluminous skirt. Is that a parasol in her hand? The viral images and video shared on social media captured one of many so-called “bridal falls” around the world that feature cascades of white water that resemble the delicate fabrics of wedding dresses and veils. Nevertheless this example is one of the most complete and compelling in full length, not to mention the extra credit for its period look. You can view the lady in motion in this video from Norwegian travel agency Visit Senja, although sadly seeing the view from multiple angles reveals the magic behind the illusion.